Columbia hosts over ten festivals each year, and they’re all fantastic ways to experience our destination. To really get a special feel for what we have to offer, come in for the True/False Film Fest or Roots ‘n Blues ‘n BBQ. True/False has grown into one the most important documentary film festivals in the world and also offers music showcases, a game show and a parade (of course). In its first year at Stephen’s Lake Park, Roots ‘n Blues took it up a notch and delivered a classic music festival complete with outstanding acts, delicious food and beautiful art installations. For your runs, walks and rides, you can’t beat Columbia’s dozens of miles of trails. From short neighborhood trails to the 9-mile MKT trail system that links up with the statewide Katy Trail, you can pick new spot to explore every visit! Take in the scenery all four seasons of the year and hit the trail! 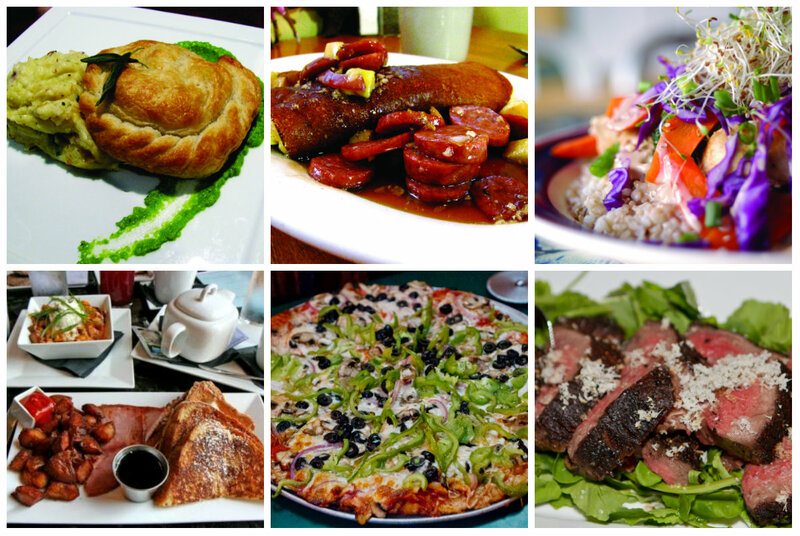 If you like, you could absolutely spend your entire visit eating your way through Columbia. We are fortunate enough to be home to an array of chefs who put out incredible food meal after meal. Often focusing on local and seasonal ingredients, Columbia’s chefs make every dining experience outstanding. So don’t forget to pack your appetite! 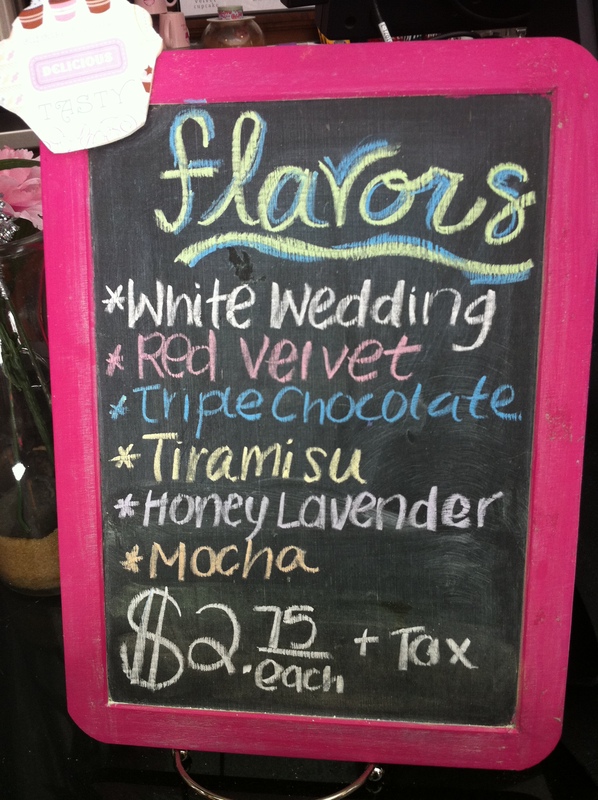 If you or your sweetheart like sweets, allow us to introduce you to Columbia’s lineup (see above). Buck’s Ice Cream on the University of Missouri campus, is made by food science students and is the official ice cream of Mizzou! Stop into the Candy Factory to enjoy a huge assortment of tasty sweets. Truffles, chocolate covered potato chips and even chocolate pizza await you at the Candy Factory! Finally, Sparky’s Homemade Ice Cream in downtown Columbia offers unique flavors and also has a liquor license (Guinness Float, anyone?). 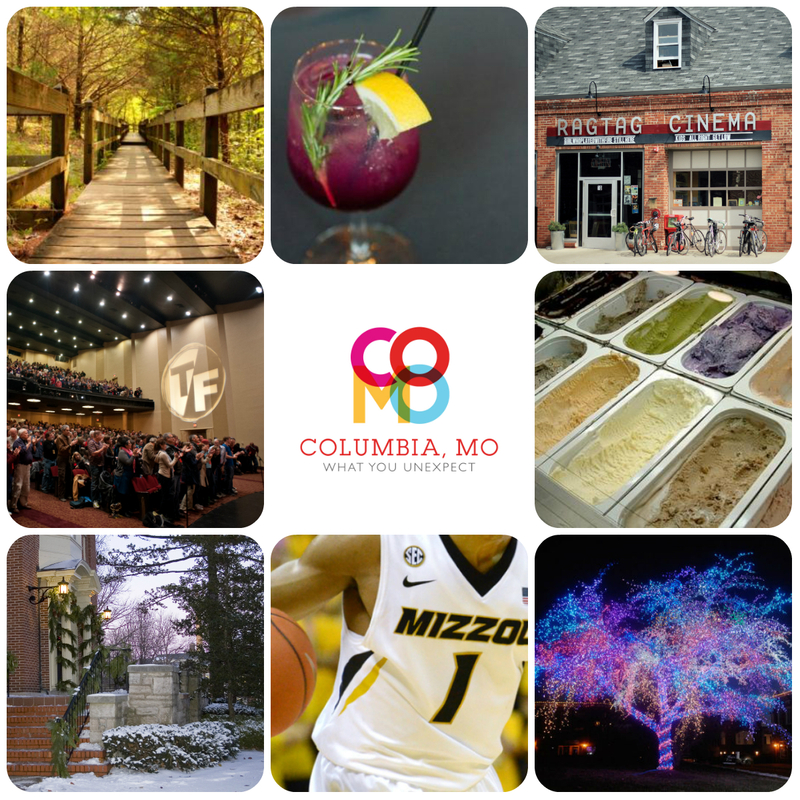 One of the things we love about loving Columbia is getting to share it with you! Join us on Pinterest and Instagram to see more of what we share. And let us know what you love about Columbia in the comments. Columbia is well known for its outstanding dining experiences. From a quick sandwich to an upscale feast, Columbia offers visitors an array of choices for any occasion. The restaurant scene is also always changing here, so let’s get you up to speed on what’s new in town. Now that Columbia is officially in SEC country, it’s only right that it’s now home to two Zaxby’s locations. A southern stable since the 90s, Zaxby’s serves up chicken fingers, crinkle cut fries, signature sauces and lots of hospitality. Check them out at Highway 63/Stadium and off Providence Road south of Nifong. A tiny space with hearty food, Café Poland on Locust in downtown Columbia will warm you up on these cold winter days. Sample their many types of pierogies and enjoy the welcoming owners. In the summer, their iced beverages will keep you cool as you roam around The District. A great destination for food and fun, with a focus on the SEC, Cheerleader Pub & Grill is located at Highway 63 and Stadium, making it the perfect stop for a bite on game days. The menu features items named after your favorite SEC teams, there are televisions aplenty and over 40 beer taps! Around in some form for most years since 1939, Glenn’s Cafe isn’t new to Columbia, but its return is definitely worth celebrating. With its beloved neon sign now hanging proudly on 8th Street, Glenn’s is open for business in The Tiger Hotel. The menu at Glenn’s is rooted in Cajun and Creole flavors with fresh seafood, bold flavors and a gourmet touch. ‘Tis the season…to panic about holiday shopping! Lists of friends, relatives and co-workers are piling up and making you wonder if you’ll ever get all your gifts bought. Never fear, Columbia is here! We’ve assembled another festive list (one you can even sing along with) that can help you knock out those presents in a snap. Spend one day in CoMo then put your feet up to revel in having your shopping done. Pick up a dozen of the most delectable, unique treats you’ll come across this season. The cupcake menu at The Velvet Cupcake changes daily, but the guests at your holiday party or your aunt with the sweet tooth will be delighted no matter which flavor you choose. Grab your ten closest friends and have a night out at The Canvas on Broadway. At the Canvas, art is for everyone, and you’ll leave with your very own piece of art and great holiday memories. They also have a bar, so your creativity will undoubtedly be heightened. Some days, there’s nothing more relaxing than a nice spa pedicure. For the person in your life who could use some pampering, pick up the gift of relaxation in the form of a gift card for one of Columbia’s many spas. A couple of Columbia favorites, Riversong and Salon Adair, will always be winners. Have someone who always wants the highest score? 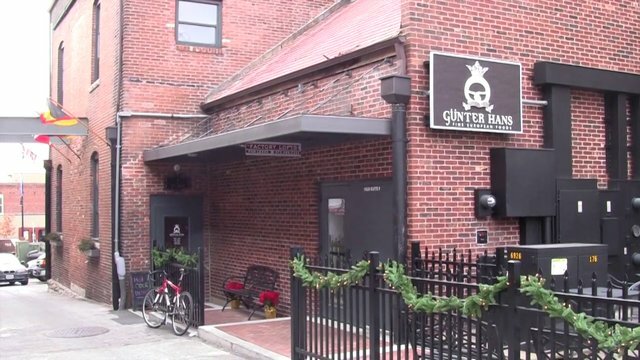 Gunther’s Games is back in downtown Columbia! Offering classic games as well as new titles, Gunther’s is a great place for your favorite kid or kid at heart. You’ve probably heard that Mizzou has had a pretty fantastic year sports-wise. Show your favorite fans you care with some Tiger gear from Rally House or Tiger Spirit. From coffee mugs to keychains, pom-poms to Tiger ears, the Mizzou fans in your life will go crazy for your black and gold gift. Everyone likes to find a little something special in their stocking! Check out Calhoun’s for fun little gifts ranging from unique jewelry to fun home decor and items for kids. Calhoun’s really is a one-stop-shop for that something extra special for anyone on your list! If there’s one thing Columbia really knows how to do, it’s art! Explore spots like Artlandish, PS:Gallery, Bluestem Missouri Crafts and the Columbia Art League Gallery for pieces with a local flavor at all price points. Whether you’re looking for a small work or a statement piece to last a lifetime, Columbia’s galleries offer some of the most beautiful work around. Everyone needs a centerpiece for the big holiday meal, right? Volunteer to take care of that this year and get rave reviews with an arrangement from Kent’s Floral Gallery on Broadway. Just stepping inside Kent’s during the holidays is an experience. Kent and his team will make your holiday shine with an arrangement that’s ready to go or customize it to your preference. You can also be the star of the holiday by showing up with dessert! Allow us to recommend stopping by Sparky’s Homemade Ice Cream to pick up an array of flavors. You can choose from the ready-to-go freezers or have them pack up any of their available flavors as well. You can go as traditional or outlandish on your choices as you want…Sparky’s has something for everyone! Another thing Columbia does well is coffee. With three colleges and a population of hard-workers, there’s never a short demand for caffeine. Explore the different roasts and local shops like Lakota, Coffee Zone and Kaldi’s to get the java lover in your life something new for their mornings. 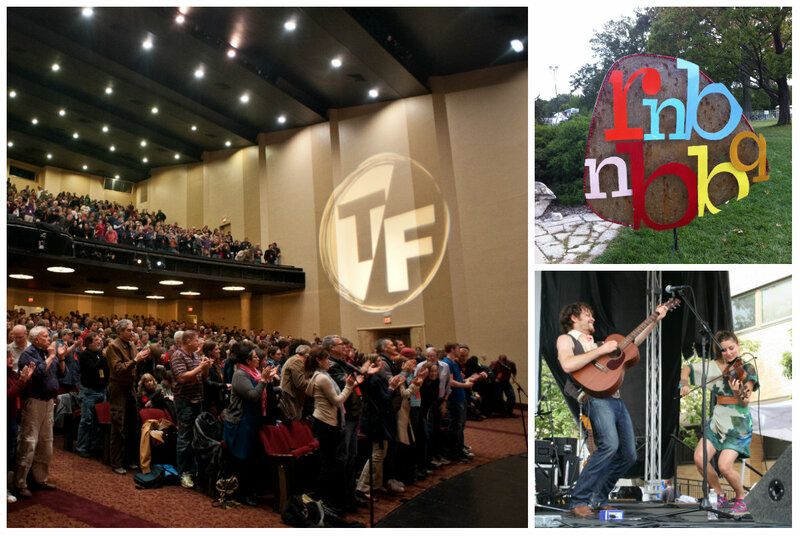 The True/False Film Fest is one of the hallmark weekends in Columbia. What started as a small event 11 years ago is now one of the world’s most respected documentary film festivals. Throw in a parade, music showcases, a game show and nightly parties and you have pretty much the most fun someone could have in four days. Passes are on sale now! And a Gift Certificate Just For You From Me! Need a gift for that one person who has everything? Let them explore Columbia for themselves! A gift certificate to The District will get that special someone into restaurants, shops and more! Somehow we’ve already made it to November this year! With only a few weeks left in 2013, here are a few Columbia experiences to check off your list before you ring in the new year. Of course, if you wait a little longer, we won’t tell. Looking for a little inspiration? Wander through some of Columbia’s impressive art galleries for all mediums of art created by artists from across the country. There’s not much more beautiful than freshly fallen snow on the University of Missouri campus. Both the historic buildings and majestic trees look even more amazing than usual under a blanket of white. Spend a few hours in another world with the incredible films showing daily at Ragtag Cinema. With a calendar full of documentaries, acclaimed films from other countries and features made by locals, your Ragtag experience will be both relaxing and enlightening. Whether you’re cold, thirsty or your hands are just freezing, take time to explore all of Columbia’s wonderful coffee shops. If you need something with a little more pick-me-up, we love the Rocket Fuel at Coffee Zone. Even if you say you don’t have an artistic bone in your body, try your hand at painting with an evening of art at the Canvas on Broadway or Paint the Town Columbia. Both spots have fun projects to sign up for, helpful instructors and a bar! If you’re looking for something a little different, head to Bleu to try out some of their seasonal custom cocktails. House-made mixes, syrups and spirits mean you can imbibe in a Red October, a Giggle Water or a Cat on a Hot Gin Roof, all created just for you. Columbia is home to more than 50 miles of trails! Whether you’re a hiker, biker or leisurely stroller, Columbia’s trails are a great escape from the holiday bustle. Time to get some new black and gold gear for the winter season! Rally House, Tiger Spirit and Alumni Hall are great one-stop shops for all your Tiger best. Of course, you’ll want to sport your new clothes at a Tiger sporting event, so make sure to get some tickets too. As the weather turns colder, shopkeepers throughout The District begin planning for the annual Living Windows Festival. On the first Friday in December,from 6 to 8 p.m., shopkeepers move all the merchandise, out of their front windows and stage live holiday performances for onlookers. Though some may disagree, ice cream is just as amazing in the winter. So amazing, in fact, that Sparky’s Homemade Ice Cream is finally going to be open year-round! 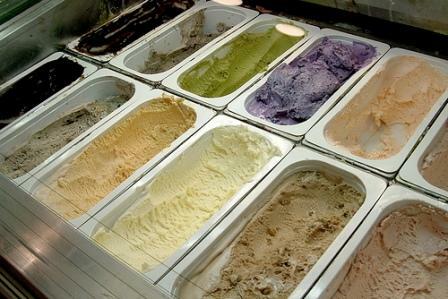 Those who used to mourn their cold weather closing will be enjoying their incredible range of flavors 365 days a year. Make the University Concert Series your new holiday tradition. Family-friendly performances including The Nutcracker, A Christmas Carol and a Tribute to Trans-Siberian Orchestra go on stage in the historic venues of Jesse Hall and the Missouri Theatre. The True/False Film Festival has become one of the most renowned documentary festivals in the entire world. Get your passes now to experience the films, music, parties and general revelry that True/False brings year after year. There’s no better way to end the year than to load up the car and visit Columbia’s Magic Tree. This tradition started in the front yard of a south Columbia home and is now located in the Village of Cherry Hill, where thousands of people stand in awe at the over 40,000 lights on one tree. Fall has finally arrived! Leaves all over town are turning brilliant shades of orange and red and menus all over town are also changing to meet the season. Columbia chefs are famous for bringing seasonal, local ingredients to the table and this fall is no exception. Here are a few places where you can find fall favorites. Check out one (or all of them) and let us know what you loved! 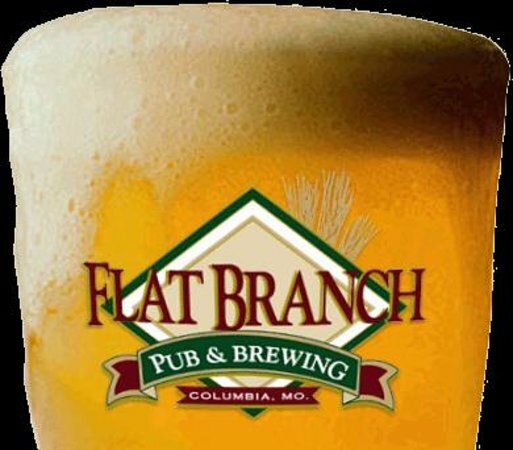 A Columbia staple for locals and visitors, Flat Branch just flipped over to their fall menu. The Winter Brewhouse Salad is perfect for a chilly day and fall favorites including Bangers & Mash and Shepherd’s pie make their return. Of course, washing it all down with a seasonal brew like a golden lager or smoked porter is all part of the experience. On the corner of 8th and Broadway, Sycamore brings fresh, simple dishes to the table every day and always allows the ingredients to shine. Get started with some pork belly sliders (trust us) and then move on to one of their delicious entrees such as smoked duck breast or braised short ribs. The food is familiar and comforting but always presented beautifully and tastes out of this world. Located just 15 minutes west of Columbia at the top of a bluff overlooking the Missouri River, Les Bourgeois is one of the most beautiful dining settings in mid-Missouri. Not only are the views breathtaking, they also have food to match. Try the monthly salad (October’s features winter squash and toasted hazelnuts) and then give the house-made tagliatelle pasta or braised pork shoulder a try. For dessert, try their signature dessert. It’s a flourless chocolate cake called the Nemesis. 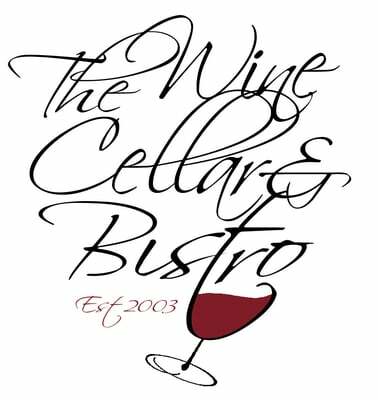 If you’d like to dine surrounded by hundreds of bottles of wine, The Wine Cellar & Bistro is the place! Chef Craig Cyr is strongly committed to using local ingredients so the names of many local farms pop up on his menu every season. This fall, try their warm goat cheese truffles to start, then try their house-made ravioli filled with local chicken or a Missouri raised, grass-fed beef tenderloin. To go with your meal, Sarah Cyr serves as the restaurant’s sommelier and will recommend just the thing. The Wine Cellar and Bistro’s wine list has been awarded The Award of Excellence by The Wine Spectator Magazine every year since 2005. Unexpected Columbia: Ozark Mountain Biscuit Co. I had heard the rumblings online about it. I read tweets from people raving about something called the Sooie Pig. I saw pictures of golden biscuits wrapped around mouth watering items like bacon and pulled pork and others of those biscuits smothered in gravy. I knew…I had to find this wonderful place. It wasn’t until a few weeks after I’d started following them on Twitter (@biscuit_truck) before I finally tracked down the Ozark Mountain Biscuit Company at the Roots ‘n Blues ‘n BBQ Festival in September. Greeted with an array of choices, I went with the choice I’d heard about the most, the Haughty Hillbilly. It was knowing that there was homemade pimento cheese involved that sold me. In moments, I had my biscuit. It was pretty much as perfect as I’d heard it described. The fried green tomato was perfectly fried and juicy, the bacon crispy, the arugula was fresh and the cheese was incredibly flavorful. And the biscuit…it was flaky, buttery, everything you want in a biscuit. The sandwich was gone all too soon, but I know I’ll be back. I still have the chicken fried chicken biscuit and the biscuit with sweet cream and homemade preserves to try. 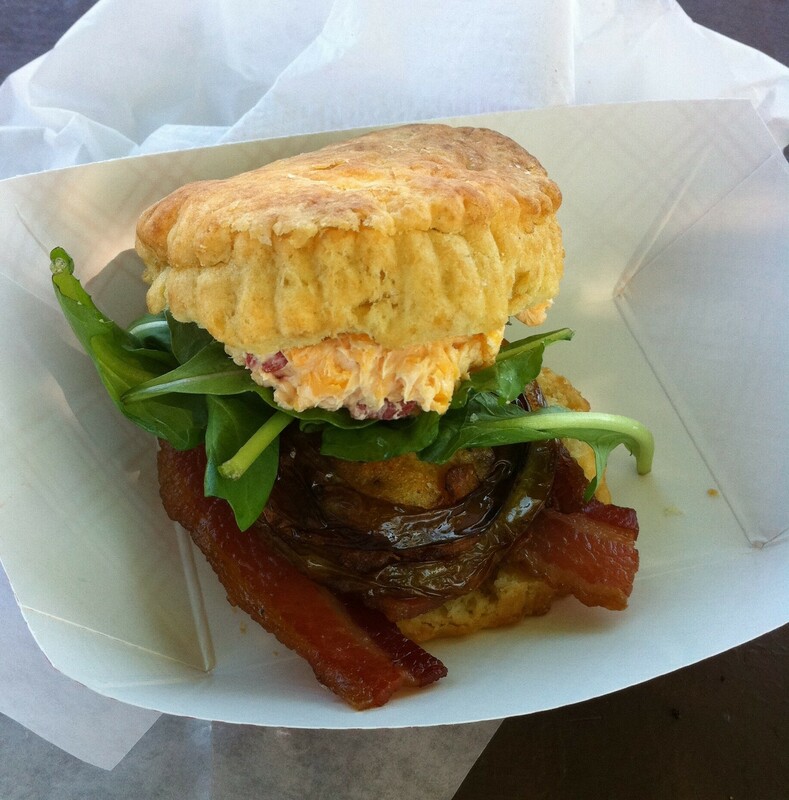 Want to know where to find the Ozark Mountain Biscuit Company during your next Columbia visit? Be sure to follow them on Twitter (@biscuit_truck) for updates on where they’ll be and visit their site to check out their entire menu and get a weekly schedule. Tracking them down is well worth the effort. Your taste buds will thank you! ‘Cool’ Summer Eats in Columbia! If you get a little overheated during your summer visit to Columbia, be sure to hit these ‘cool’ spots and get yourself a treat! 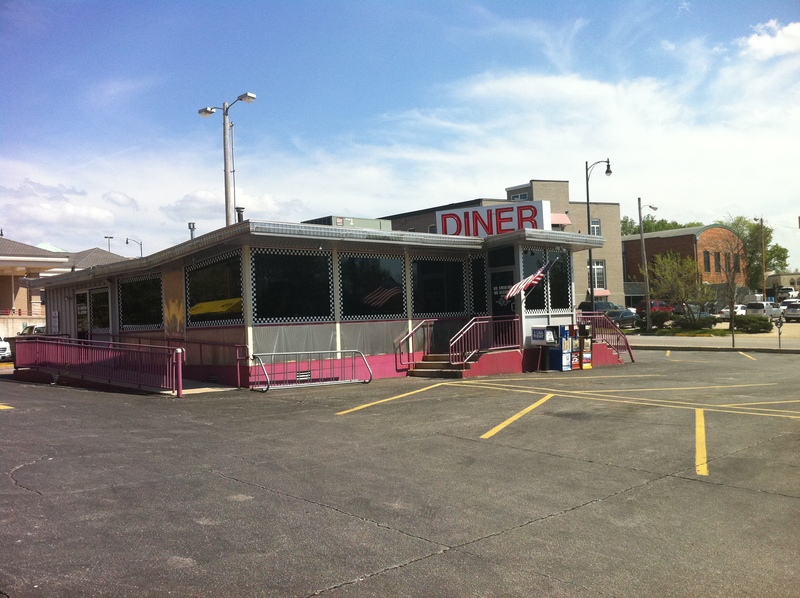 Step back in time at the 63 Diner! A classic diner featuring music from the 50’s and nostalgic décor – the waitresses even wear poodle skirts! Order one of many signature diner-style meals, and don’t forget the milkshake! While Main Squeeze does feature a vegetarian menu, it’s not just for vegetarians! Stop by and try one of their unique fresh juice drinks or smoothies, like the Ginger Tonic (apple, celery, lemon, and ginger) or the Berry Berry Good smoothie (grape, blueberry, strawberry, and raspberry). A small ice cream parlor in The District (downtown Columbia), Sparky’s features awesomely unique rotating flavors including mango strawberry almond, chocolate banana Tabasco, dark and stormy (for those 21 and older, it includes rum and ginger beer), blackberry goat cheese, and dark pepper dark chocolate espresso. Don’t worry, for those of you who would prefer a safer choice, Sparky’s also has “normal” flavors like vanilla bean, chocolate, cookies and cream, and butter pecan. A bar specializing in frozen cocktails, Trops is the place to be (as long as you’re 21)! There are 2 locations in Columbia: one on the south side of town and one downtown in the District. While Trops does serve beer and mixed drinks, they are known for their frozen drinks such as the Tiger Paw (peach schnapps, rum, pineapple juice, and orange juice), ’57 Chevy (rum, gin, vodka, sloe gin, and mai tai blend), and many others. Buck’s is known as the official ice cream of the Mizzou Tigers and is even made fresh on the University of Missouri’s campus by food science students. Their typical hours are Monday – Friday noon-5 (and Saturdays during warmer months), but it’s completely worth it to find time to go just for a taste of their tiger stripe or Mizzou gold ice cream. Yogoluv features a buffet of frozen yogurt and topping choices, and the price depends on how much your bowl of deliciousness weighs. The flavors are rotated but the basic choices of chocolate and vanilla are available along with toppings including candies, syrups, fruits, cereals, and almost anything else you’d want on your frozen yogurt.